A month of anniversaries are coming, especially on KET/PBS..many of them significant and important. I hope you all support KET to the extent that you get its monthly “Visions” magazine with the schedule for November. If so, there are two major series of events coming. One will be a number of programs on space..the shuttle, astronauts to the moon, the Hubble telescope and things like that. Fascinating, important events many of us lived through…and for those of you young enough not to have watched them first hand, this is a great opportunity for you to learn..and know how important space exploration is to your lives today. 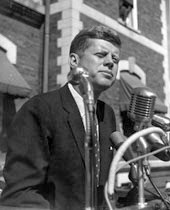 On a sad note, November brings us the 50th anniversary of the death of President Kennedy. All the networks will have major programs, and KET has a full array..including American Experience/Frontline/Nova/as well as specials. Having interviewed the President twice, and having covered extensively his campaign in West Virginia, which helped make him President, I hope you will watch as many of these as possible. Even the conspiracy shows, which will undoubtedly crop up, are worth seeing..but not all will be worth believing. We are far from perfect, so let me close this largely media blog by recommending you read two news stories printed on Sunday. It seems to me Republicans can make a case for cutting government spending..but their tactics to do it are all wrong..as the recent 16 day government shutdown proved. Too many people were truly hurt. Too many things cropped up..not thought of by the “closers” that had to be rectified suddenly, giving more proof of this bad idea. And, topping it all off..Obamacare went right on; it had been funded previously. So the main goal of the “closers” was not reachable. And, get this, the costs of closing the government turned out to be higher than if the government had remained open! How illogical can you get? What utter folly on the part of some in the GOP. In Kentucky, all 3 senior Republican House members finally voted to end the shutdown. 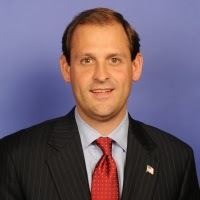 Only the two new Young Turks still were intransigent…Thomas Massie and our own Andy Barr. Barr has now voted (1) to shut down and keep shut down our government; (2) cut food stamps to many people in his district who desperately need them; and (3) cut funding for Head Start. He can rationalize his votes all he wants, this is their practical effect. I suspect he is in trouble for re-election, if his voters have any memory of these past few weeks. This will be signaled even more so if new, well known names announce their interest in running. Mitch got a bad rap from many. What I have seen is he did not insert pork into the final settlement, the $3B worth of improvements for Ohio River locks in W. Kentucky. Others introduced that measure and championed it. 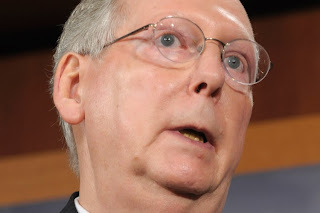 Mitch and Senator Reid (D-Nev) finally broke the logjam and forced the GOP House to see the light. That said, let’s realize the “can has just been kicked down the road” a few months---not years..and in 2014, when an election year will make compromise much more difficult..all these issues will be back to haunt the Nation. “job killing” tactics such as sequester and closure. I was 11 when Pearl Harbor happened, my generation’s 9/11, and grew up during WW2 and the Cold War. A future reporter, I followed current events carefully. But now, years later, thanks to some excellent TV programs I am learning things we never knew at the time. 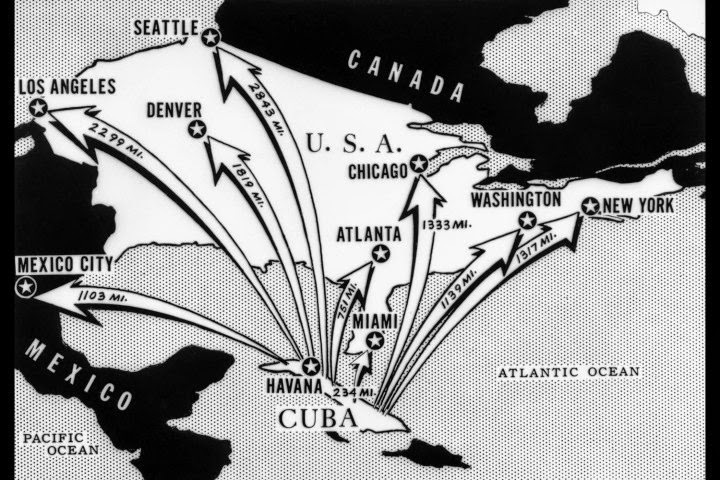 PBS/KET’s fine series “Secrets of the Dead” went a bit afield Sunday to air “The Man Who Saved the World”, a not overblown report on a Soviet sub commander who, at the height of the Cuban missile crisis, refused to permit a nuclear strike against the US by one of his ships. That surely would have resulted in a US response, and Armageddon. aired a report on the Zapruder film and the man who shot it. 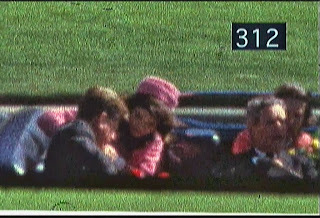 That 8mm home movie is the only film known that totally catches the events in Dealy Plaza when JFK was assassinated in Dallas. I had seen that film once before, shown to a small group of journalists at a professional meeting. I never expected to see it aired nationally, but there it was..including the infamous frame where Oswald’s second shot explodes the president’s head. It passes so quickly you scarcely realize what you have just seen. Not remembering history is our “fault” also..but we must always leave open the possibility that new facts, new information will turn up..as the PBS & CBS news programs have shown, to make us reassess what we think we “know” about history. Tom Brokaw’s book of that title—and the fact I grew up in the Great Depression and World War 2—have always made me appreciate that group just ahead of me..the ones who won the war, after having suffered thru the depression. And now we are losing them, seemingly in record numbers. I thought about that this week after seeing and reading a number of stories about these people..heroes in many ways to me..and now they are gone. Or the man who had been in on the Manhattan project from the beginning..from building the first atomic reactor, to flying on the plane that dropped the first A-bomb on Japan, filming it with his own 16mm camera. Or the man who took part in the Warsaw ghetto uprising, lived thru 3 Nazi concentration camps, to become a prominent historian of the Holocaust. Lest we forget. (Another survivor, one of the last women to survive that vulgarity also died recently.) How do we keep the memory of that tragic period alive? But we must. 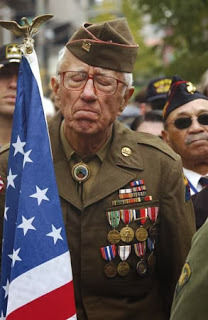 To freedom, to that unquenchable desire of the human spirit, I thank those of the Greatest Generation and those since then whose lives remind us of challenges yet unmet, and evils yet to be defeated. Not every old person, as I am, qualifies..but if you meet some of those who do, listen to their stories…and learn.